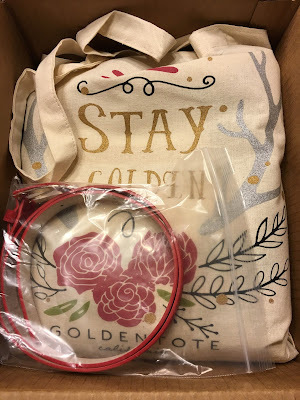 I haven't ordered from Golden Tote in quite a while, but couldn't resist their deals during the month of December. 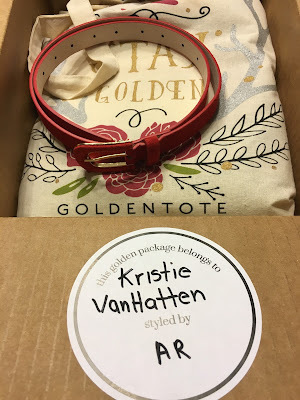 They listed different Golden Gifts each day in the beginning of the month and one was buy a pair of jeans and receive a free top and belt to complete your look. I had to order! Plus there was a pair of trouser jeans I was eyeing, so I ordered a large tote. Since, I hadn't ordered in quite a while, it was really fun because I had no idea what I would get. 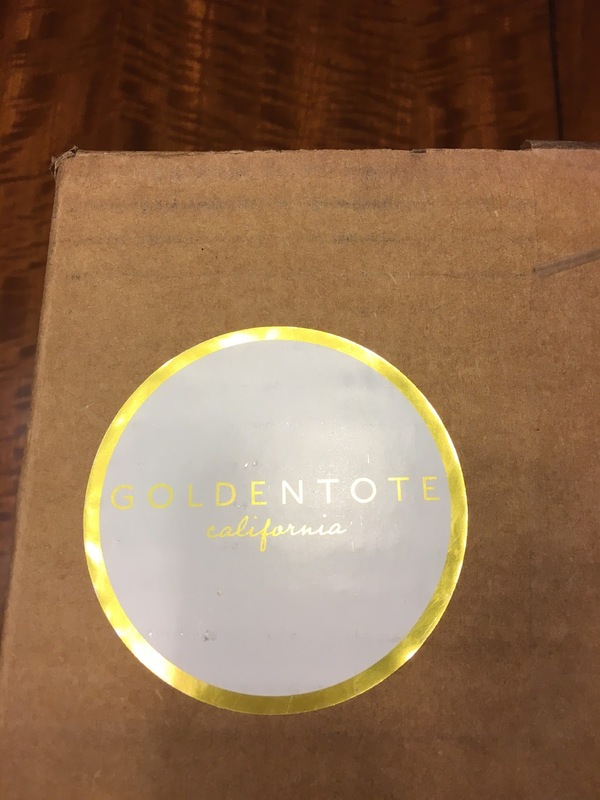 My Golden Tote was scheduled to arrive on Christmas Eve, but arrived a couple days early. Yay! I couldn't wait to see what was inside!!! You can see the free belt I received right on top. It was red suede and went with everything in my box very nicely. Golden Tote puts a sticker on the box with the initials of who styled your tote. Mine was styled by AR! Here is a peek at everything that was included in my Golden Tote! I love Christmas and my tote had a very Christmasy theme to it. I love it!!! 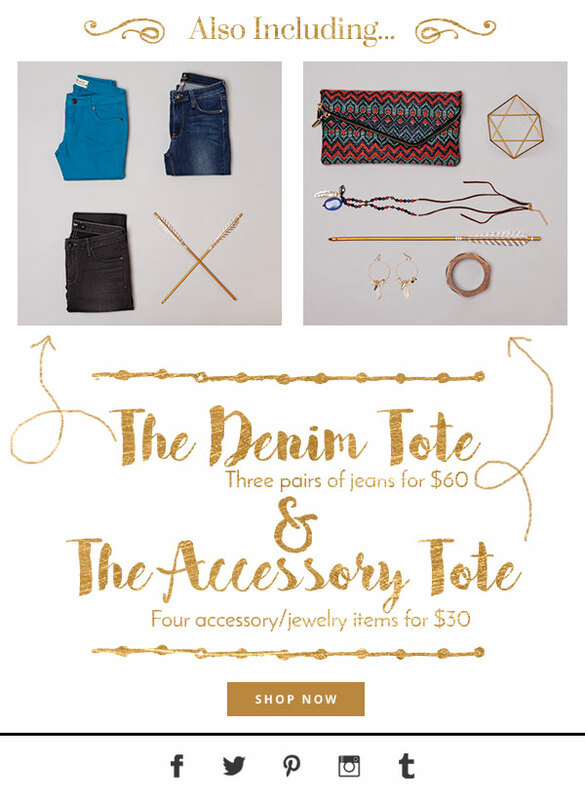 Golden Tote includes an order form with the chosen items and surprise items included. 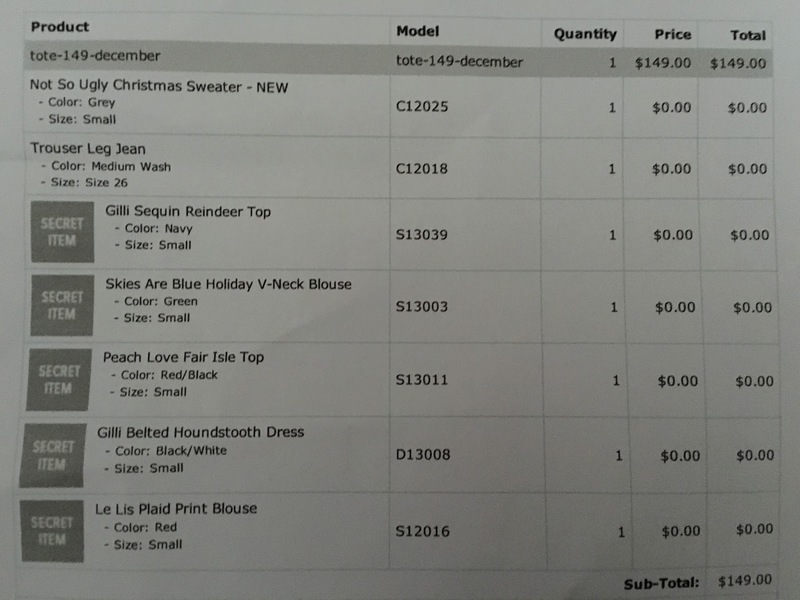 Here is exactly what the descriptions were for all my items. 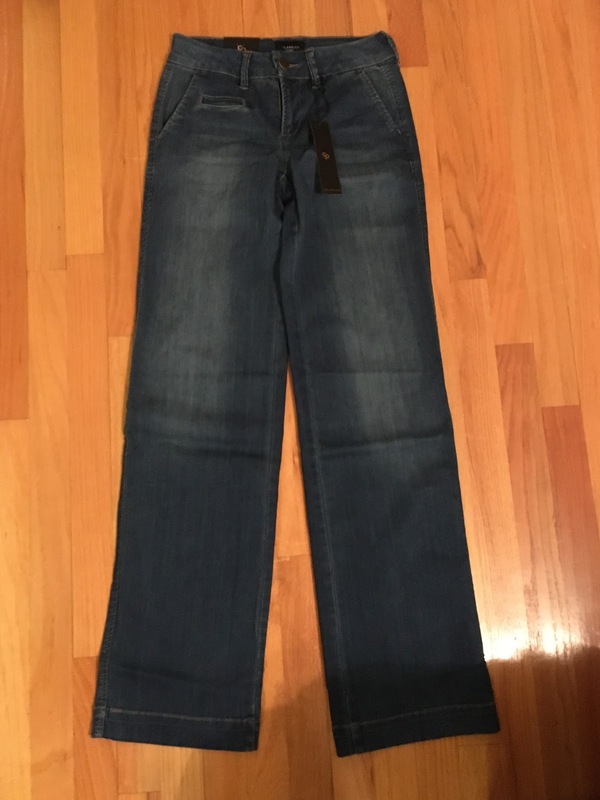 The first item I chose was the Celebrity Pink Trouser Leg Jean in Medium Wash. 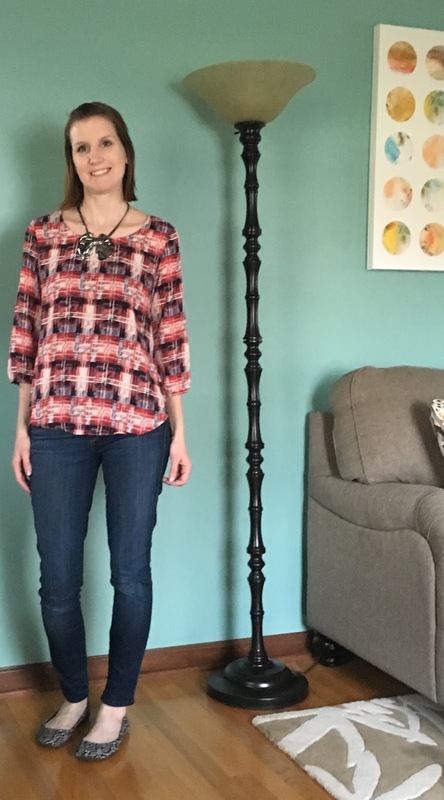 I'm 5'6" and these are very long on me. I will probably need to have them hemmed because I tend to wear flats more than heels. And even with heels they are a bit too long. They fit perfectly otherwise though and have some stretch to them. They're very soft and comfy! 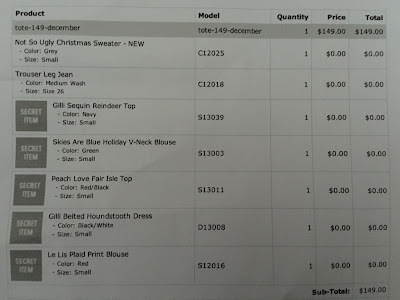 The second item I chose was the Mak B Not So Ugly Christmas Sweater in Grey. This fits loosely and is soft and comfy. I'm wearing it right now! I love the reindeer and tree. 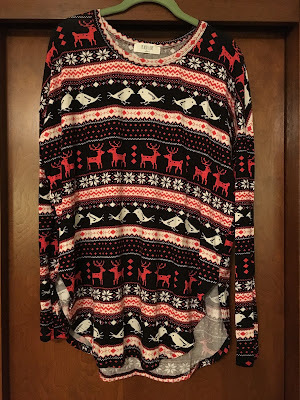 I needed a Christmas sweater and I kept thinking about ordering this one and am so happy I did. I'm also very happy it came before Christmas, because now I'm able to wear it today (Christmas Eve)! 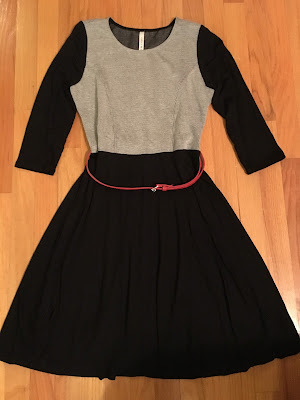 I styled this with the red belt I received! 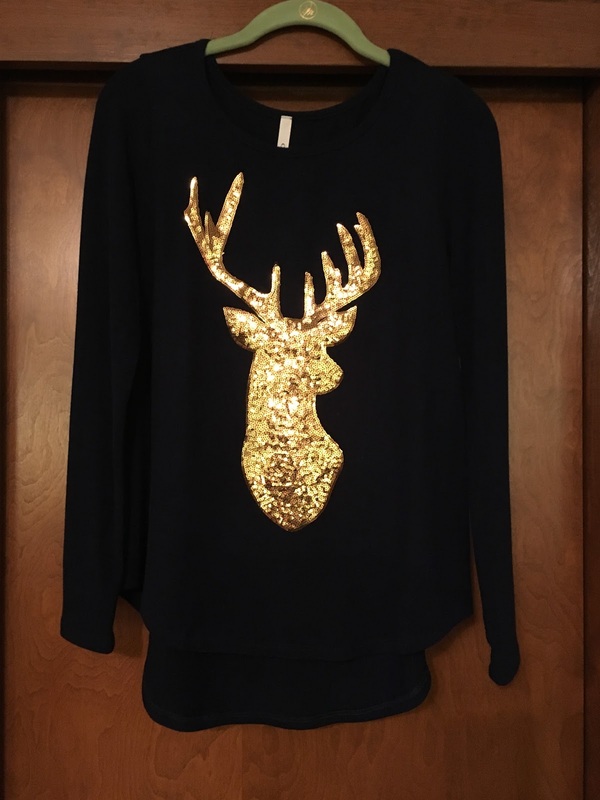 My first surprise was a Gilli Sequin Reindeer Top in Navy. I was hoping I would get this when I saw a few others receive it. Who doesn't love a great Christmas top with a sequin reindeer?!? I wore this to work yesterday. A couple girls in the Golden Tote Trading Group on Facebook suggested I wear it with a pencil skirt and blazer. It'd look great with a maroon pencil skirt and grey blazer, but I didn't have the right color pencil skirt to wear with it. I styled it with skinny jeans, which is how I styled it outside of work. It is very festive and sparkly and totally my style! This was my favorite item I received!!! 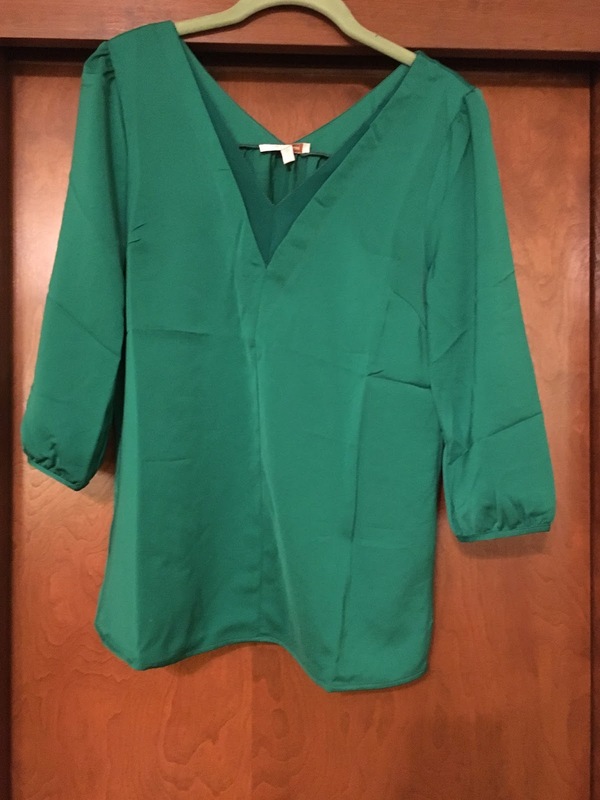 I also received a Skies are Blue Holiday V-Neck Blouse in Green. 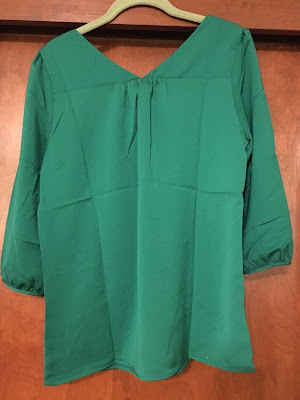 I love the details in this blouse and the kelly green color, which feels very festive! 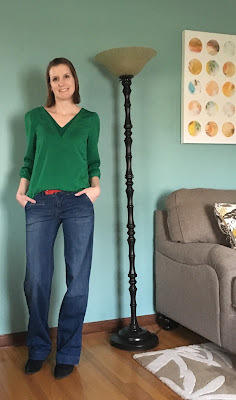 I styled this with the trouser jeans and red belt I received in my tote, for a look that screams Holiday! I love it!!! The jeans are long as you can see, and I'm wearing a black ankle boot, but think this will look better with a heel that is more bare. 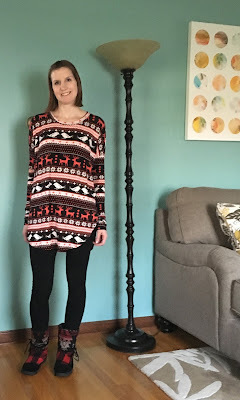 I had seen a few people receive the Peach Love Fair Isle Top in Red/Black and was hoping I would get it too. 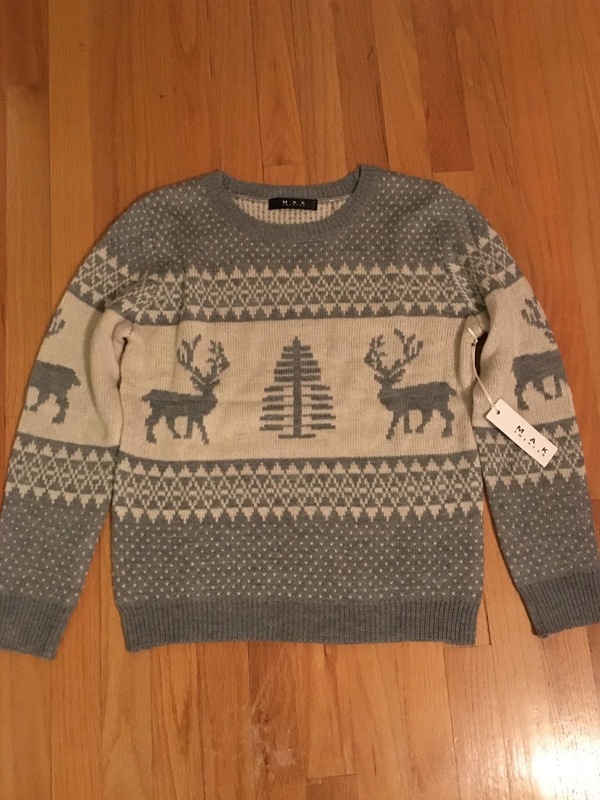 This has reindeer and chicks in the pattern and I love anything fair isle this time of year. 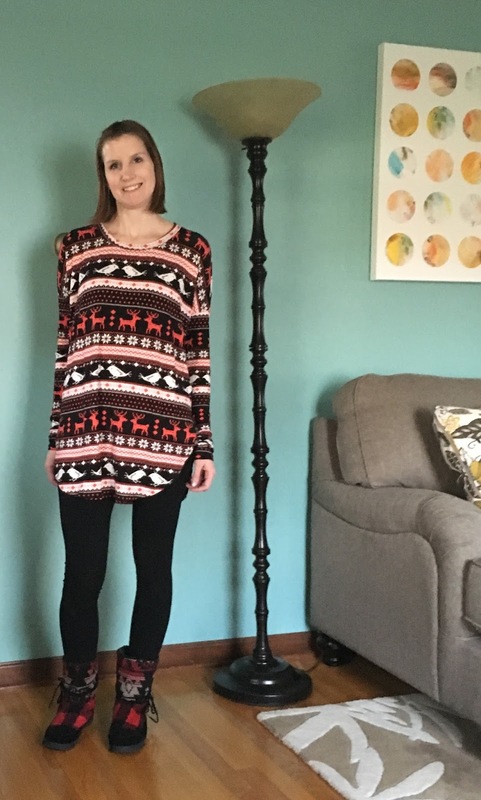 This looks like the perfect outfit to lounge around the house when paired with leggings. 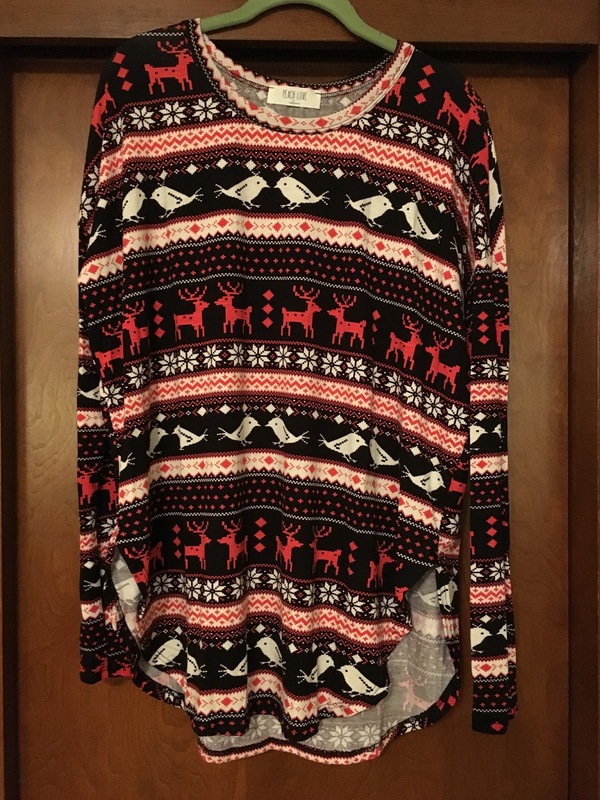 I'll be wearing this Saturday or Sunday when the chaos of Christmas finally winds down. 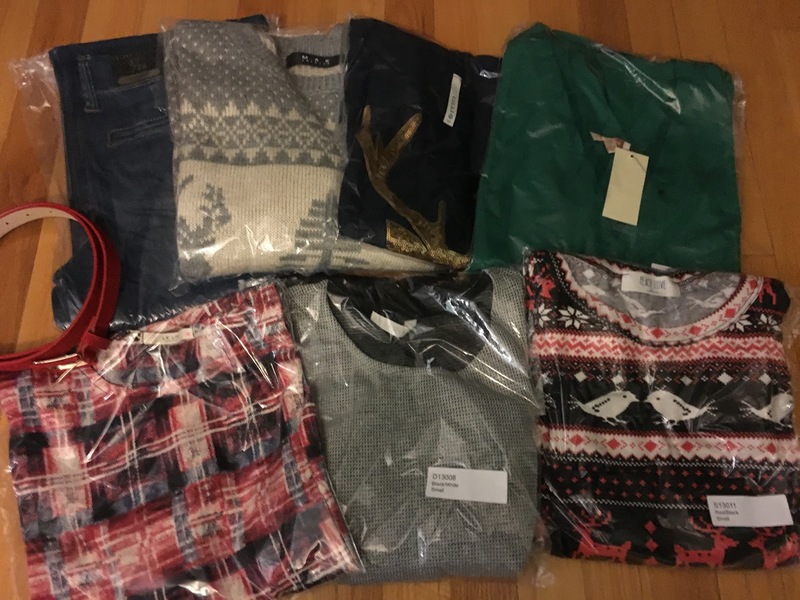 I did receive one item that I liked, but didn't like how it fit me. It was the Gilli Belted Houndstooth Dress in Black/White. This came with a red belt. It was a pretty dress, but I think my torso is too long and the belt sat at an odd place on me. 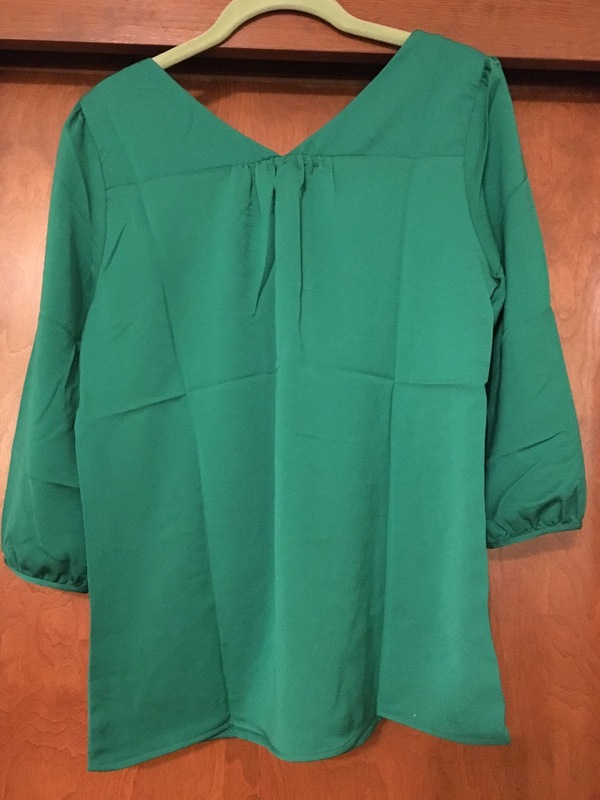 I don't have a picture wearing this dress, because I traded with someone on the Golden Tote Trading Group for something I hope suits me better. This is a really nice dress, and I would have loved it if it fit me better. And it definitely went with the theme of my box! 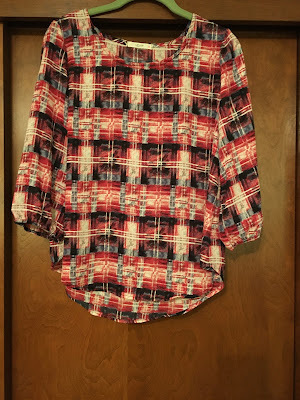 The final bonus top I received was the Le Lis Plaid Print Blouse in Red. 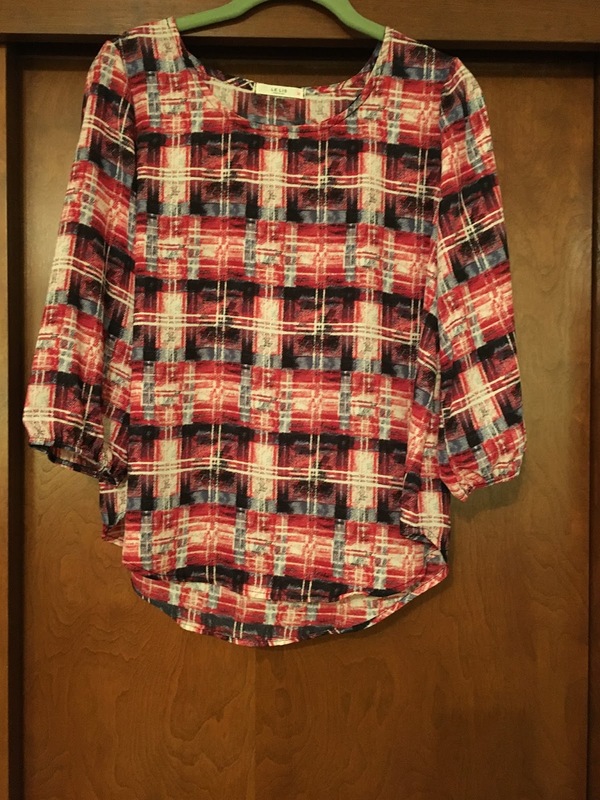 I love plaid for fall/winter and this is a nice blouse I can wear to work. It looks great styled on it's own or under a cardigan. I love versatile blouses for dressing for work, so this is something I would have chose for myself. 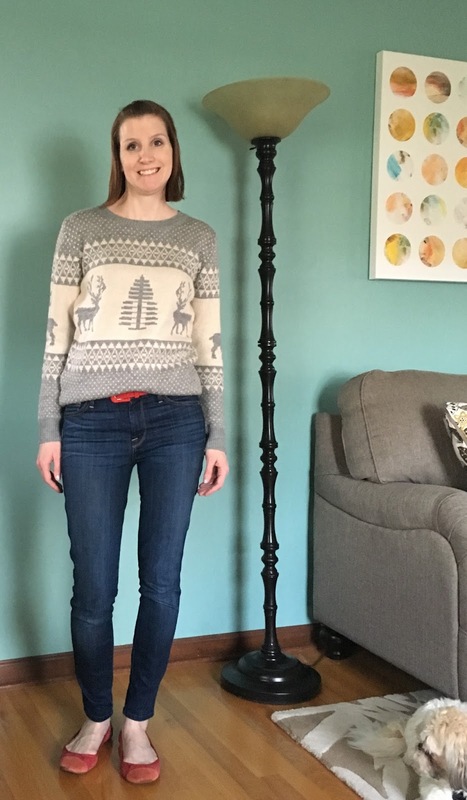 It is definitely a pattern I don't already own and I love the uniqueness of it! I loved my tote and all the Christmas clothing it contained. I seriously wanted to call up AR as soon as I opened it and thank him/her for everything!!! Everything was exactly my style and I will wear it all, besides the dress I already traded. I loved opening up this tote and seeing all the red and green and holiday themed clothing. I'm so happy it arrived at the perfect time too. I'll be wearing it all this week and next! I think this tote may start my addiction to Golden Tote all over again!!! 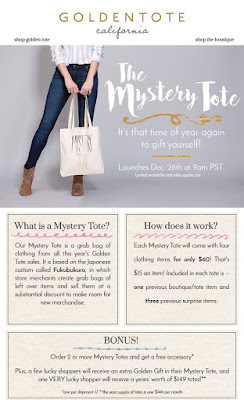 Golden Tote will be releasing Mystery Totes on Dec 26th at 9am PST. The Mystery Totes have been a tradition the past couple years and contain 4 previously released chosen/surprise items from the past year of inventory. It's Golden Tote's way of cleaning out and making room for new inventory. 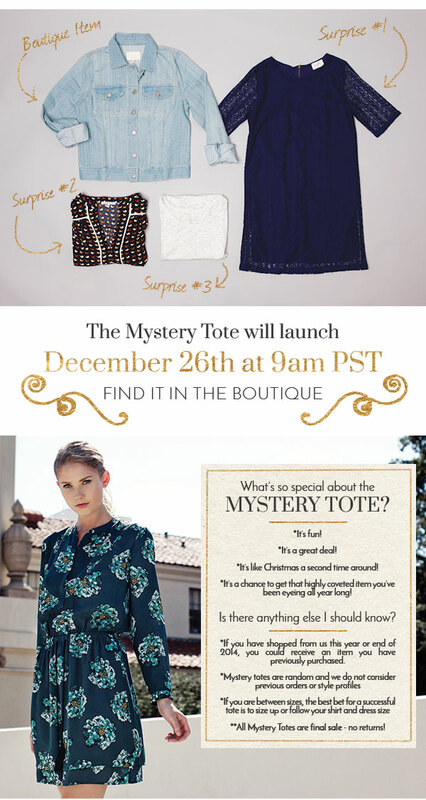 For $60/tote you get 4 mystery items (one previous boutique item and 3 surprise items). You can not request specific items and your profile will not be looked at. You can receive duplicate items that you already have received. They are also releasing a denim tote that will be sold by sizes such as 5/27, 7/28, 9/29. The denim tote will contain 3 pairs of jeans for $60. There will also be an accessory/jewelry tote for $30. The Mystery Totes usually sell out quickly, so if you want in on the fun, plan to order right away on release day!!! 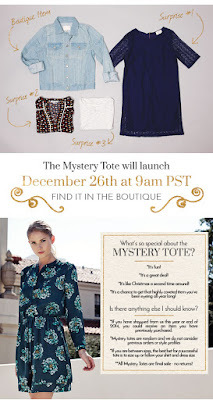 I'll definitely be trying my luck with a denim mystery tote and a clothing mystery tote!